Iometer is used in the following benchmark runs on the Intel X25-M, 160GB G2 SSD. 2 tests were done, 1 with write cache, 1 without write cache. Following graphs show the results. OS is Centos 5.4 64 bit, the controller is nForce Pro 2200/2050 on the motherboard. 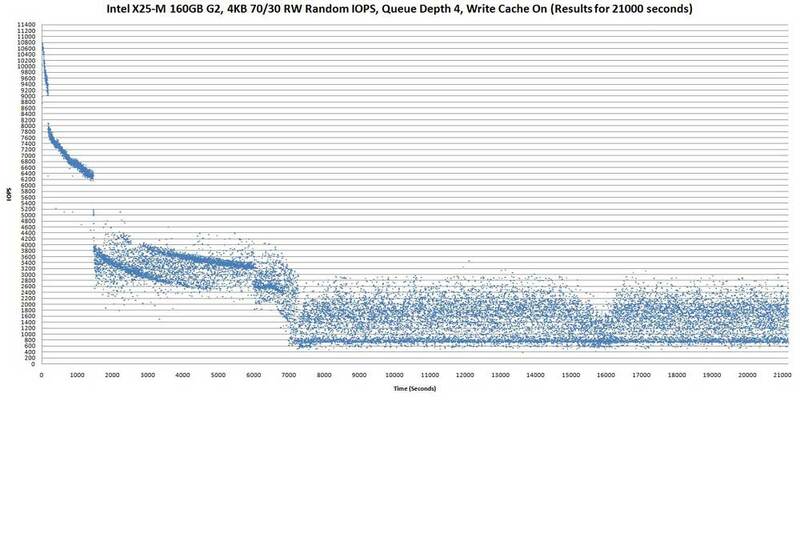 When comparing the graphs, please note the test with cache on ran for 21000s, and test with cache off ran for 32000s. 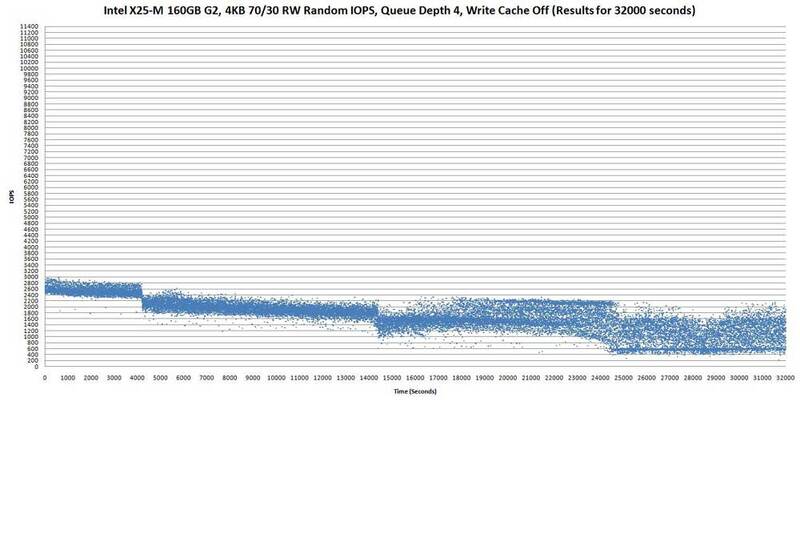 With the write cache on, the results for first few minutes were above 9,000 IOPS, but nosedived thereafter. 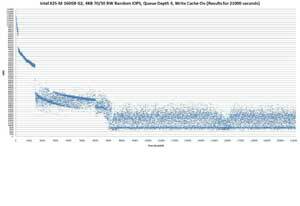 There are benchmarks done by consumer hardware sites that indicates the write IOPS of the X25-M G2 is comparable or better than X25-E G1. 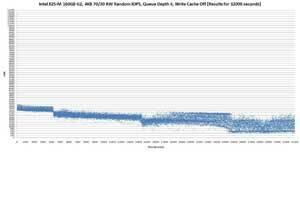 However, with the extend test runs that we did, we find the random IOPS performance of the X25-M G2 (MLC) to be far lower than the X25-E G1 (SLC).